Geometry Dash SubZero Análisis - Free Casual Games! Enjoy this exciting sequel to the critically acclaimed mobile based platform game. 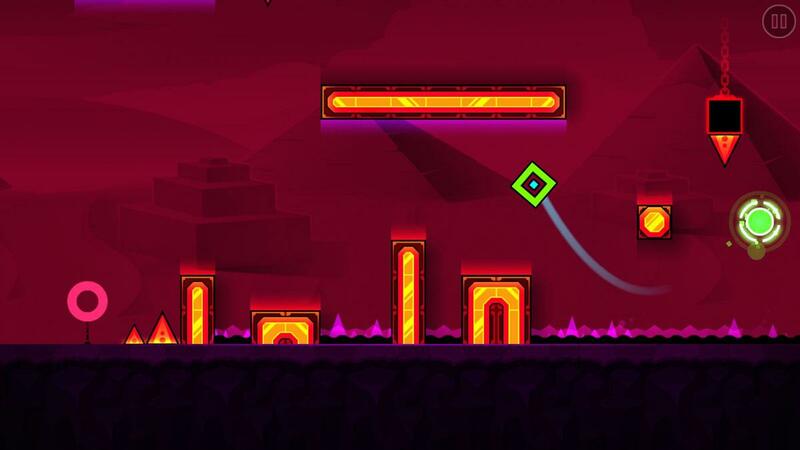 Complete multitudes of challenging levels as you make your way through the game. Customize your block according to your preferences through the various available options. 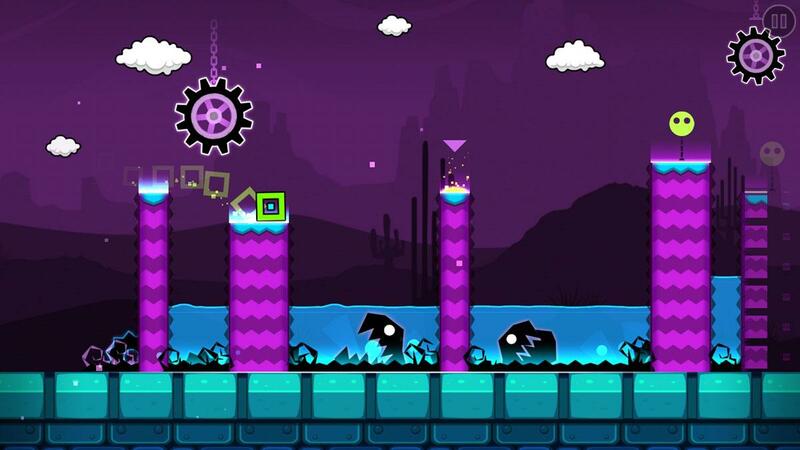 Ever since the first game in the series, Geometry Dash games have received nothing but praise from the players because they’ve featured some of the most creative gameplay that the platformer genre has had to offer and, on top of this, they also come with top tier visuals to back up the addicting gameplay. Geometry Dash SubZero is the latest installment in the series and it has all the characteristics that defined the predecessor so we highly recommend giving it a shot. 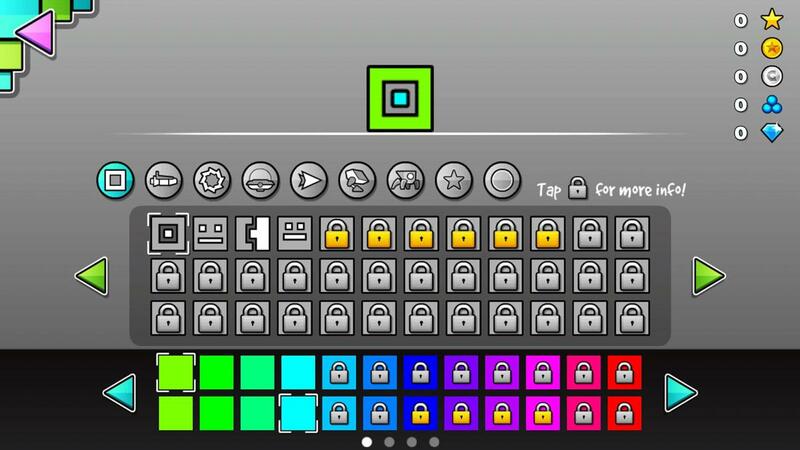 One thing worth mentioning about Geometry Dash SubZero is the fact that it doesn’t come with a tutorial sequence so the first few minutes of play might feel a bit challenging if you don’t have prior experience with games in this series. Fortunately, the core gameplay isn’t particularly complex so, as long as you keep playing, you’ll be able to get the hang of everything by yourself in mere minutes of playing. In terms of gameplay, Geometry Dash SubZero carries over the same great gameplay formula that its predecessors have always been renowned for and it actually manages to elevate things to a whole new level by implementing various new gameplay mechanics to the mix. The core design is the same as the goal of each level is to start from the beginning and efficiently navigate through all the different platforms in order to get to the end without dying. If you die even once, you’ll have to repeat the entire level from the beginning so you’ll need to be extremely careful as you make your way through the game because even a single mistake can cost you quite a bit of progress. The levels of Geometry Dash SubZero can be quite challenging to get through at the beginning but, fortunately, the game comes with a practice mode through which players can practice the levels beforehand so that they don’t struggle as much later on. The practice mode allows players to place checkpoints so you won’t have to worry about losing any major progress whenever you die in them so, if you’re struggling with a particular level, we highly recommend giving the practice mode a shot because it’s going to be quite beneficial for you. The visuals of Geometry Dash SubZero carry over the same art style that the predecessors were praised so highly for so, if you liked the previous Geometry Dash games, you’re certainly going to like this one as well. The game also comes with an array of new special effects and animations that make the visuals a delight to look at. Geometry Dash SubZero is free to download and play so you’ll be able to enjoy it without restrictions once it’s been downloaded. All said and done, Geometry Dash SubZero is a top notch platformer game that, much like its predecessors, manages to impress quite a bit.